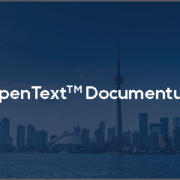 If you’re like a lot of Documentum customers, you probably have been watching to see what its future will be with OpenText. While you’ve been watching, you may have let your Documentum implementation operate on cruise control. Now that Documentum has been part of the OpenText family for over a year and OpenText is fully supporting and advancing their investment in it (as evidenced by their comments during Enterprise World 2018), remaining on cruise control may not be the best way to run this critical technology. As a Documentum user, your organization likely has made a significant investment in the underlying application and supporting architecture. While you’ve watch to see how Documentum is being folded into the OpenText portfolio, you’ve relied on Documentum for the capabilities that your business has needed since you originally invested in it, if not for more capabilities. In order to get the most out of your Documentum investment, it may be time to do a Documentum Health Check. 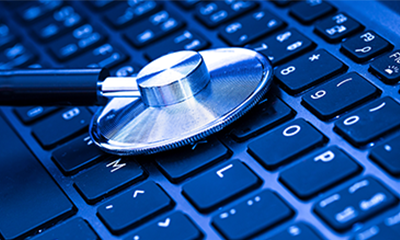 A Health Check can help you identify any gaps in your current Documentum system that may not be serving your business needs as well as it could. And a health check can identify other ways you could potentially be getting more from your investment in Documentum. Has your business model evolved since you first implemented Documentum? Have you adjusted your Documentum workflows to match those changes? A Health Check can identify ways to fine-tune your Documentum implementation to ensure that it’s supporting your business model in the best way possible. 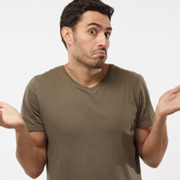 Do you know what version of Documentum you’re running or if your Documentum apps are up-to-date and patched? Are you at risk by not having implemented critical updates over the years? A Health Check will show you what you’re currently using, identify the current versions available, and propose a path to close any gaps. We will conduct a sizing analysis based on usage requirements, content size, and platform (hardware, operating systems, database, etc.). Based on the results of the sizing analysis, we will recommend changes to the infrastructure, such as increased memory, CPUs, or potentially a redistribution of some of the Documentum components across additional servers (either virtual or physical). The current version of Documentum is 16.4. Is this what you’re using? If you’ve held off upgrading to the most recent version, knowing what it can do and how much an upgrade costs could be helpful. Many customers are able to eliminate previously installed customizations with today’s out-of-the-box functionality. A Health Check includes an estimate on an upgrade, including a review of any custom requirements for your implementation. Are you maintaining historical Documentum applications simply for compliance or occasional reporting purposes? Are these applications running on expensive tier-one storage? We can help you analyze the data in these older systems and recommend a data archiving solution that will enforce records retention policies, mitigate compliance risk, and eliminate operational expense. And if you’re still in the wait-and-see mode, you may just be looking for ongoing support. If you’re not on version 16.4, your support has either run out or is ending at the end of your current contract. Your business is too important to not have one of its key technologies supported. FDI provides ongoing support for Documentum customers, which has been our sweet spot for more than 15 years. We’re committed to helping you meet your needs today and for the future. Request a Documentum Health Check today.